Don’t you just feel good buying local? I think it’s awesome that the eggs I buy at my local super market are from local egg farmers. I love that these farmers take pride in producing the highest quality eggs for families to enjoy. In Canada, there’s eggs produced in every province by more than 1,000 farm families. How cool is that? If you follow my blog (or Instagram) you know how much I love to support local whenever I can. For obvious reasons, it supports local families, who work and live right here. Other than that, they are SO fresh. Typically, eggs go from the farm to grocery store in less than a week. That means they’re not only fresh, there’s less environmental impact. Plus, living in Newfoundland (an island) most of our food is shipped from elsewhere so having food produced in my own home province makes me happy. I’m all about that life. Of course, eggs are the primary ingredient here in these breakfast quesadillas. Other players are cheddar cheese (I used a jalapeño variety), black beans, hot peppers, avocado and green onion. Really, the options are limitless! If you like more of an ingredient, add it. And if you feel like adding cooked, crispy bacon that would pair wonderfully too. This recipe is super flexible so you could easily please the whole family. Did ya know that tomorrow, October 12th, is World Egg Day? Yep! Eggs are little powerhouses of nutrition (and flavour). They are super simple to whip up, whether you are boiling them, scrambling or cooking over-easy. How many meals can you whip together in minutes like you can with eggs?? Beyond the fact that they’re protein packed and so versatile, they’re also super budget friendly and tasty. What’s not to love?? Scrambled eggs are super easy (and unbelievably quick) to whip up, which is why these breakfast quesadillas make for an easy breakfast (that could be enjoyed weekdays or weekends alike). However, there is a technique to scrambling eggs. If you overcook them, they will start to release water and turn rubbery. Nobody wants that! So, how to you make scrambled eggs? Start with fresh eggs (of course). Crack into a bowl (no shells, please). Add a pinch of salt and pepper. If you’re feeling extra fancy, maybe a pinch of cayenne. Whisk vigorously using a fork. Heat a dab of butter in a non stick pan on low heat and melt until a little frothy. Pour whisked eggs into heated pan. Then, using a spatula, start to bring eggs towards the centre of the pan. Continue doing this for a couple minutes until the eggs are cooked through. Make sure the black beans are well rinsed and drained (and patted dry) before adding to your breakfast quesadillas. You don’t want a soggy mess. If you prefer to use pickled hot peppers, ensure that they are well drained and patted dry too. Want to add an extra protein to these? Crispy bacon works lovely. This recipe can easily be doubled for a crowd. Weekend brunch, maybe? 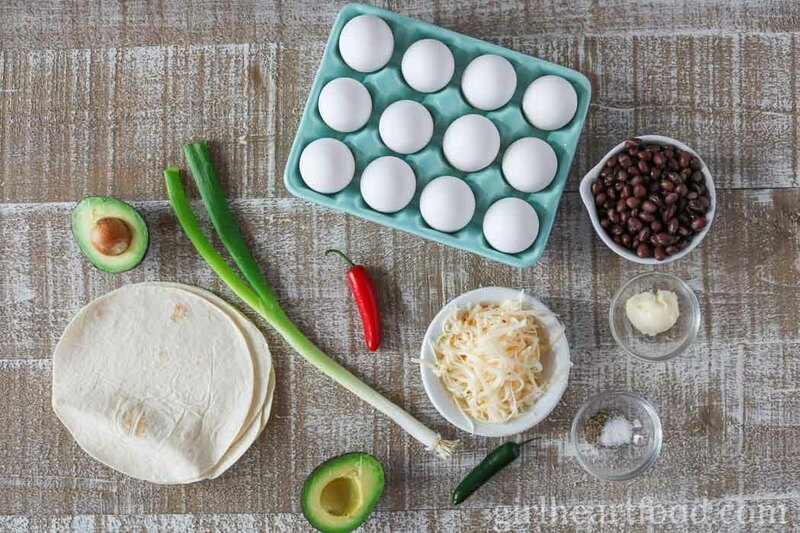 Ensure all of the other ingredients for these breakfast quesadillas are ready to go as soon as the eggs are cooked. If you leave the eggs in the pan they will continue to cook and may overcook. Though these are ‘breakfast’ quesadillas, you could totally enjoy these for dinner with a simple side salad and call it a day! Hope you love these breakfast quesadillas as much as I do! What will you be enjoying on World Egg Day? I’d love to hear! Don’t forget to use the hashtag #WorldEggDay so I can check out some of your stuff too! If you want to find out more info about local egg farmers (or eggs, in general) be sure to check out @eggoeufs on Twitter and Instagram, and like Get Cracking on Facebook. 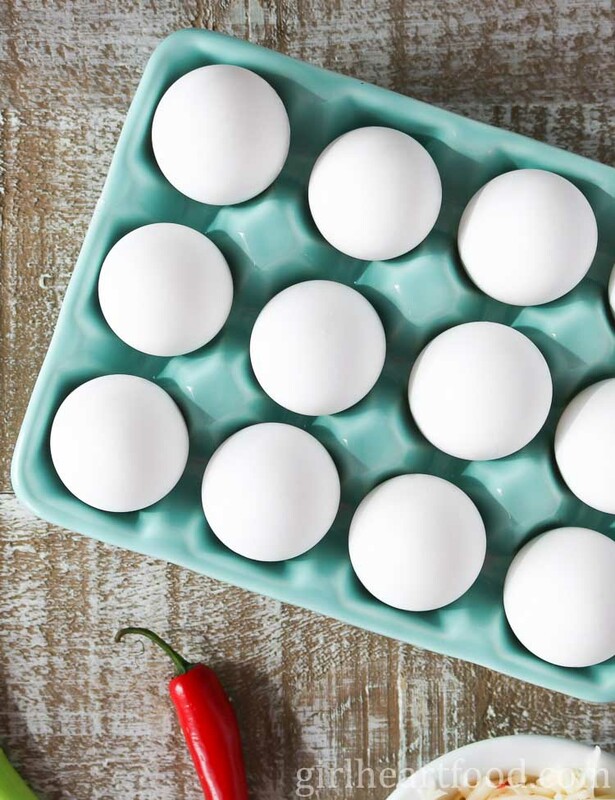 For recipes & nutritional deets, visit eggs.ca! In a bowl whisk eggs with salt and pepper. In a non stick pan on low heat, add 1 tsp of butter. Let it melt and get a little frothy. Pour in eggs and let sit for 1 minute. Using spatula, bring eggs to centre of pan until cooked through, about 2-3 minutes. Remove. Lay tortillas on counter and top the right side of each with 1/4 cup of cheese. Then, distribute eggs over top. Top each with 1 tbsp of black beans, hot peppers, avocado slices and green onion. Fold over other half. Wipe out pan. Place 1/2 tsp of butter in pan and melt. Cooking 2 quesadillas at a time, cook until tortilla gets a little golden brown and crispy, about 1-2 minutes. Carefully flip and cook other side 1 -2 minutes. Continue with remaining two quesadillas. Cut each quesadilla in half (there will be 8 pieces in total) and serve with sour cream, Greek yogurt or salsa. Enjoy! Make sure the black beans are well rinsed and drained (and patted dry) before adding to your breakfast quesadillas. You don't want a soggy mess. Though these are 'breakfast' quesadillas, you could totally enjoy these for dinner with a simple side salad and call it a day! I love a good breakfast quesadilla, something a little different compared with the old eggs and bacon. I love how easy it is to get a delicious and nutritious meal using eggs. These quesadillas look yummy and perfect for any meal of the day. What a terrific breakfast idea with all of my favourite ingredients and so hearty as well! Thank you for sharing, Dawn! I am looking forward to trying it. These look amazing! And I can totally imagine the sound of biting into a crisp tortilla…YUM! And then the filling squeezing out a bit and getting all over my fingers…totally delicious! Pinning for later so I don’t forget! Quesadillas for breakfast–what a great way to start the day! We eat a lot of eggs and luckily I’m able to get them easily from local hobby farms in my area. Pinning this one! Thanks for a great recipe! Sure is 🙂 Hope you guys love this one as much as we do! Thanks Elaine. These quesadillas look amazing! Why haven’t I made breakfast quesadillas before? I need to test them out on the family! And local eggs much such a difference. Thank you Melissa! You have to try ’em – SO yummy 🙂 ! I am so loving how thick your quesadillas are, Dawn! These is what I call a breakfast of champions! I’ve made the mistake of not drying out peppers before and what a mess! 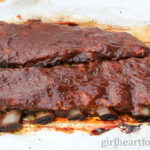 I am bookmarking this to try soon! What a another delicious option for breakfast or brunch! Will be giving this recipe a try! 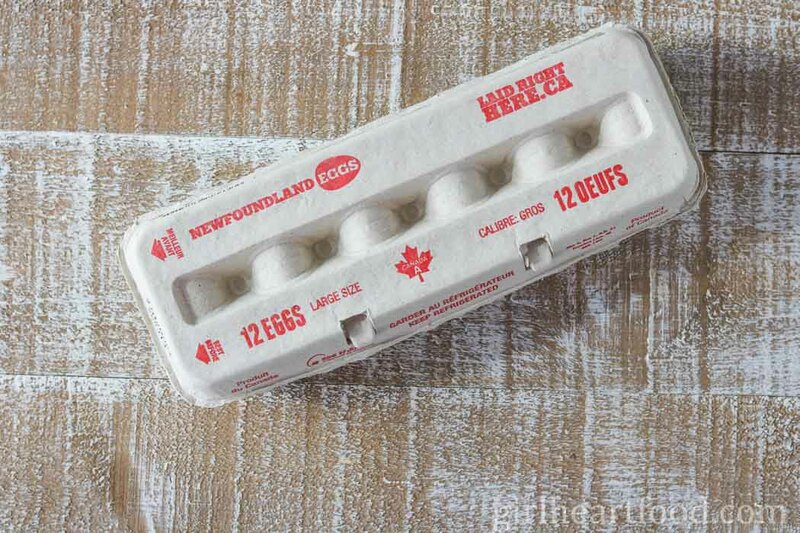 I love that your eggs are labeled ‘Newfoundland Eggs’…how cool is that!? I totally agree with you about supporting local, too. There’s a farm around the corner from us that sells fresh eggs, and I keep meaning to stop in and check it out. I didn’t realize it, but today is National Egg Day! Woohoo! I’ve missed the chance at breakfast, but I think I might have to make these quesadillas (or some variation based on what we have in the fridge) for lunch. These sound amazing, Dawn!! What a great way to start the day! These egg quesadillas look perfect and I think they’d be a huge hit in my house! They sure are 🙂 Thanks Kathy!! 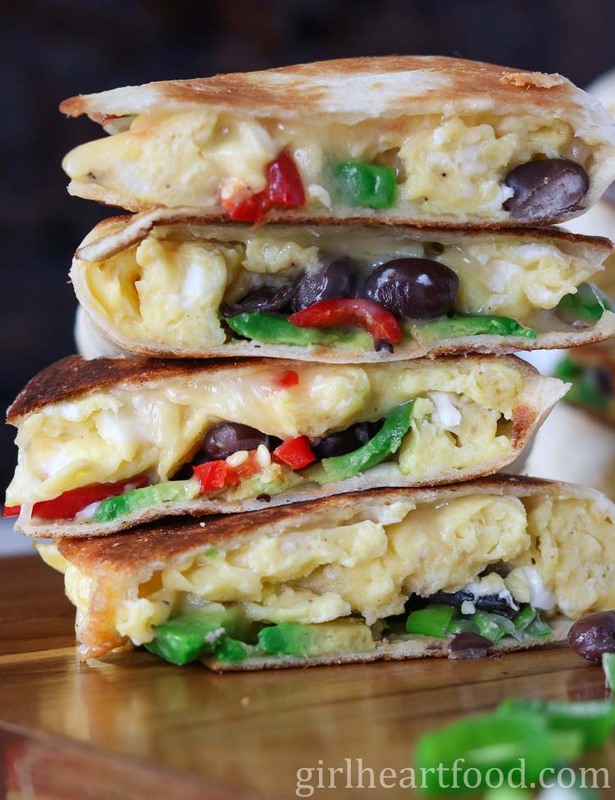 My fave way to prepare eggs is scrambled, so I’m all over these quesadillas! This is actually something both hubby and I would enjoy. We have breakfast for dinner at least once a week, so this would be the perfect recipe to add to the rotation! Happy World Egg Day Dawn! Woo hoo!! That’s awesome, Leanne! Thanks so much 🙂 Have a great weekend! This is basically the PERFECT breakfast, Dawn! We have quesadillas all the time, but I never think of them for breakfast…until now. Can’t wait to try these this weekend! Love, loving your process shots too. So fun! Thank you so much, Marissa!! Let me know how you like ’em 🙂 Have a wonderful weekend! This is exactly what I need for brunch this weekend with lots of hot salsa! Loving that money shot on cracking the egg (how did you do dat??) Your photography skills are on point, gf!! YES!! Haha – thanks so much for the sweet (and funny) comment, Karrie! You’re awesome!! Absolutely love scrambled eggs and if they happen to be in a quesadilla – even better! This is the kind of treat I’d eat for dinner too:) Pinned. Agreed 🙂 !! They’re good for almost any meal if you ask me! Thanks Milena! My mouth is watering just looking at the picture. So delicious!!! Thanks so much Heather 🙂 !!! So happy you like ’em!! I love savory foods for breakfast and these look so delicious! Farmer’s Markets are the best! Thank you Kelly 🙂 Have a great weekend! This is officially my new breakfast and I haven’t even tried it yet. How could you go wrong with quesadillas for breakfast??? They’re one of my favorite dinners and I love that you’ve come up with a way for me to eat them even more often :). Have a great weekend, Dawn! Woo hoo!! I don’t think you can go wrong 😉 They are pretty tasty, that’s for sure! Have a great weekend too, Kelsie! Hands down, breakfast quesadillas is one of my favorite breakfasts Dawn. And Tom’s a HUGE fan too! These look fantastic!